Loonycorn is comprised of four individuals--Janani Ravi, Vitthal Srinivasan, Swetha Kolalapudi and Navdeep Singh--who have honed their tech expertises at Google and Flipkart. The team believes it has distilled the instruction of complicated tech concepts into funny, practical, engaging courses, and is excited to be sharing its content with eager students. For more details on the course and instructor, click here. This course is hosted by StackSkills, the premier eLearning destination for discovering top-shelf courses on everything from coding—to business—to fitness, and beyond! 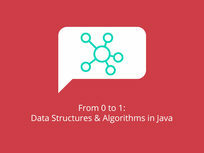 Data structures and algorithms? 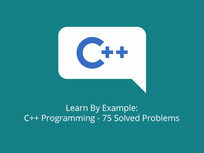 They're standard Computer Science 101 topics, and ones you'll master in this course. You'll learn how common data structures organize information so it can be used efficiently, how algorithms work to manipulate this data, and more. 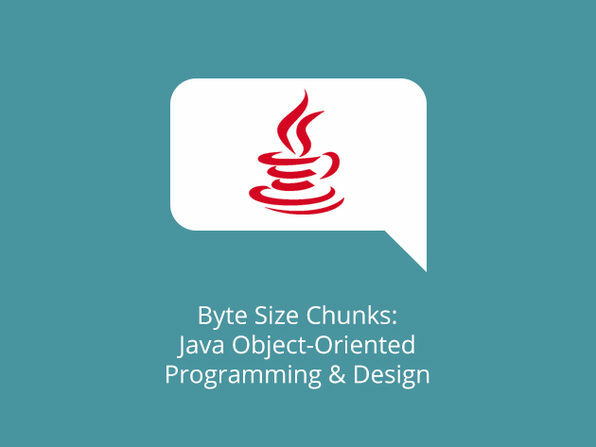 Though this course is tailored to the Java programming language, you'll emerge from it with a deep understanding of how any computer program works. 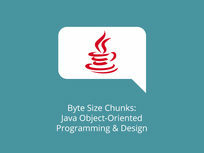 Build a stack w/ Java, construct a queue, etc. Loonycorn is comprised of four individuals—Janani Ravi, Vitthal Srinivasan, Swetha Kolalapudi and Navdeep Singh—who have honed their tech expertises at Google and Flipkart. 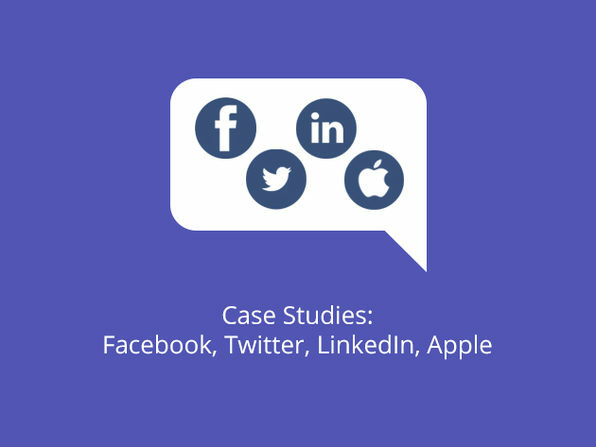 The team believes it has distilled the instruction of complicated tech concepts into funny, practical, engaging courses, and is excited to be sharing its content with eager students. For more details on the course and instructor, click here. This course is hosted by StackSkills, the premier eLearning destination for discovering top-shelf courses on everything from coding—to business—to fitness, and beyond! Why are Data Structures And Algorithms important? What is the complexity of these pieces of code? Sifting through large masses of data doesn't need to be painful, and SQL makes sure of that. This handy language lets you easily manage the contents a variety of databases, including MySQL, SQL Server, and more. You'll learn to easily create tables, populate them, and retrieve their data, allowing you to make sense of any mass of information that really isn't as unmanageable as you might think. Master advanced database concepts: indices, triggers, transactions, etc. Union, Union All, Intersect and Except. Practical Tips for Table Designs that you won't regret! C++ seems intimating, not least because it looks like the best grade anyone can get in a class on the topic. This course will show you otherwise, offering 75 real-world use cases on this powerful language. 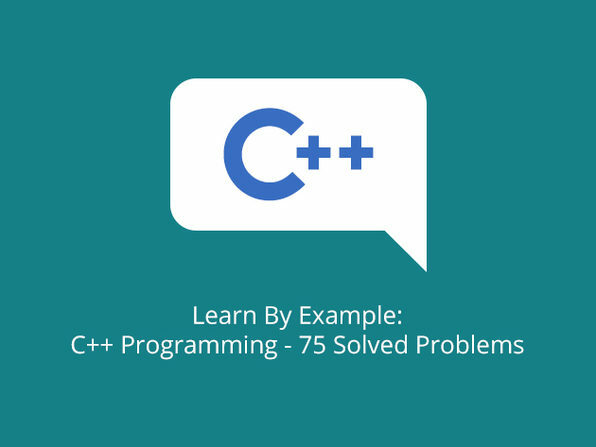 We guarantee you'll acquire an A+ understanding of C++, or at least manage to stay calm next time whispers of "Object-Oriented Programming" caress your weary ears. C vs C++: Comments are different - and oh C++ has namespaces! Not just function overloading, C++ allows operator overloading as well! Classes mean different things to different people! Example 8 and 9: Stop using malloc and free, use new and delete instead! Example 32: const char* or char* const? Example 58: No virtual function calls in constructors or destructors! Example 59: Virtual destructors rock! Remember those sci-fi movies about smart homes with remotely controlled lights and sensors? Those flicks aren't so far-fetched anymore, because the future is here, and its name is Raspberry Pi. Understand how to tinker with this microcomputer's physical parts, and master the Python programming required to complete home automation projects such as flashing LEDs and remote-controlled sensors. Navigate the Raspbian OS, write Linux Shell commands, connect your Pi to Internet, etc. Code w/ Python using lists, loops, functions, etc. Complete home automation projects: flash an LED, build a sensor, etc.